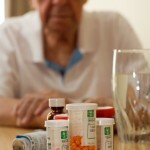 More Affordable Prescription Drugs With Medicare? When Can You Be Penalized for Lack of Part D Medicare Coverage? Why doesn’t my new drug appear on the Medicare Prescription Drug Plan Finder? The Medicare Part D open enrollment period is the final six weeks of each calendar year. This means the time you can start to choose a new Medicare prescription drug plan is on November 15th and the period will run through December 31st. Any changes you make during this time will go into affect on January 10th of the New Year. Medicare recommends that you make changes to your plan as soon as possible during the Part D open enrollment cycle to prevent any confusion when the new plans take affect in January. You certainly do not want the pharmacy to have the wrong information when you need a prescription filled in January. Basically, the sooner you get your changes submitted, the less likelihood there will be that confusion will take place. The original Medicare benefit program, passed in 1965, was comprised of two parts.Â Part A contained the hospital part of the Medicare insurance coverage.Â Part B, specified the medical part of the Medicare insurance coverage.Â Parts C and D were later added to address additional health concerns. Medicare insurance Part A is insurance covering hospital stays at least 72 hours long, depending on time of admission and release.Â Furthermore, it pays for nursing home stays on the condition that the stay is related to a covered hospital stay, and that both the nursing supervision and nursing both require skilled personnel. Medicare insurance Part A part is paid for by the beneficiary’s (and their employer’s) periodic payroll tax deductions during his or her working career. Medicare insurance Part B is optional medical coverage.Â This Medicare insurance pays for some of the medical providers and services not reimbursed under Part A.Â Part B Medicare insurance can include lab tests, x-rays, doctor visits, certain outpatient procedures, flu vaccinations, and more. Part B Medicare insurance requires the user to pay a monthly premium, unlike the Part A coverage. The person must choose whether or not to enroll in Part B Medicare Insurance when first notified of Medicare insurance eligibility just before their 65th birthday. The Part B monthly premium was $88.50 in the year 2006. Part C Medicare insurance gave Medicare members the option to receive medical care through private insurance plans in beginning in 1997.Â The private plans replaced Part A/B Medicare insurance coverage.Â In 2003, the private plan changed and they were called Medicare Advantage (MA) Medicare insurance plans. On January 1, 2006, Part D Medicare insurance was activated.Â Those already eligible for Parts A and B were therefore already eligible to participate in the new Part D prescription drug plan.Â The Medicare insurance benefit of Part D allowed members to subscribe to one of many private insurance prescription drug plans. Part D Medicare insurance allowed members to pay less for their prescriptions.Â Like Part B, Part D Medicare insurance required the member to pay a monthly premium.Â Unfortunately, each of the private insurance prescription drug plans had varying restrictions and caused a great deal of confusion among those trying to choose a plan. In 2005, the Medicare insurance program provided coverage to an estimated 42.5 million persons.Â The “Baby Boom” generation, once fully retired and enrolled in Medicare insurance, is expected to swell the ranks of the Medicare insurance members to approximately 77 million persons around the year 2031. New CMS Medicare drug plans were made available to all Medicare members on January 1, 2006.Â These plans were made possible through insurance companies and private interest working with CMS Medicare.Â Discounts on drug prices are possible through this partnership.Â CMS Medicare members must research and choose a drug plan suitable to their situations. These new drug plans are not free, like the CMS Medicare Part A plan.Â Members of the new CMS Medicare drug plan must pay a monthly fee and a fraction of their prescription drugs.Â This out-of-pocket fraction varies by drug plan. 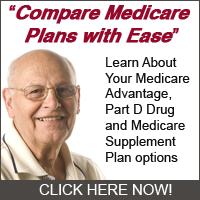 Each new CMS Medicare drug plan must provide a minimum standard of coverage.Â Some of the plans offer more coverage than the minimum, but those plans also cost more.Â The plans also vary in which drugs are covered, how much the insured person pays, and what pharmacies the CMS Medicare beneficiary can use. Current CMS Medicare Part A or B members were eligible join a drug plan between November 15, 2005 and May 15, 2006.Â Coverage began on January 1, 2006 for those who joined on or before December 31, 2005.Â The window of opportunity to join a CMS Medicare drug plan or change plans occurs each year between November 15 and December 31 of that calendar year. Those eligible persons who use few or no prescription drugs should still consider joining the CMS Medicare drug plan as soon as possible.Â Those who did not join by May 15, 2006 may now be paying an extra penalty if they joined afterwards. CMS Medicare drug plan financial aid is available to certain persons who might have trouble paying for a new drug plan.Â Those who are eligible for this CMS Medicare aid can have some or all of their monthly drug plan premiums paid.Â Those with the most need can receive more aid. What should you do if your employer’s drug plan is at least as good as the standard CMS Medicare prescription coverage?Â If you wish, you can keep your current plan.Â If your current plan ends, you won’t pay a penalty if you join a CMS Medicare drug plan within 63 days.Â Note that if you discontinue your current employer plan in favor of a CMS Medicare plan, it may not be possible to reinstate your employer plan. There are several resources to assist you in choosing one of the new CMS Medicare drug plans.Â You should have received the CMS Medicare handbook titled “Medicare & You 2006.”Â You can access the CMS Medicare Prescription Drug Plan Finder online at Medicare.gov.Â You can also call your local Social Security office for free help. Choosing the CMS Medicare plan that includes most or all of your prescription drugs, maximizes your coverage, and minimizes your costs takes effort.Â With the aid of family, friends, and Medicare or Social Security help, you can find the best CMS Medicare plan for you.